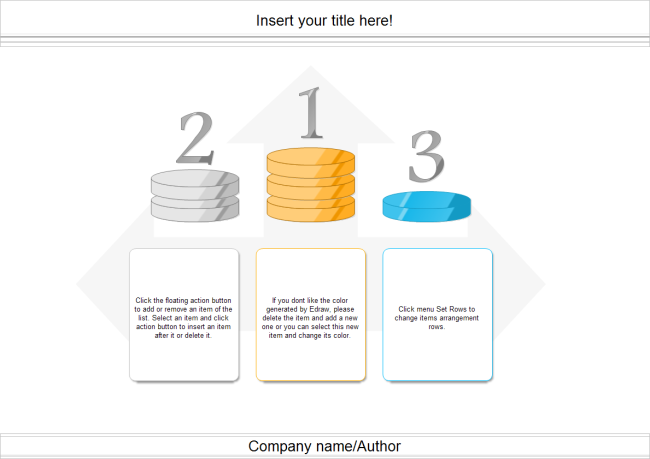 Description: A free customizable podium template is provided to download and print. Quickly get a head-start when creating your own podium. The order can be vividly shown by the image of podium diagrams. Your detailed description can be put in the rectangle shapes. Get more list shapes in Edraw and make more creative list diagrams.